Nonsteroidal anti-inflammatory drugs (NSAIDs) are among the most commonly used drugs in the world for the treatment of osteoarthritis (OA) symptoms, and are taken by 20-30% of elderly people in developed countries. Because of the potential for significant side effects of these medications on the liver, stomach, gastrointestinal tract and heart, including death, treatment guidelines advise against their long term use to treat OA. One of the best documented but lesser known long-term side effects of NSAIDs is their negative impact on articular cartilage. In the normal joint, there is a balance between the continuous process of cartilage matrix degradation and repair. In OA, there is a disruption of the homeostatic state and the catabolic (breakdown) processes of chondrocytes. It is clear from the scientific literature that NSAIDs from in vitro and in vivo studies in both animals and humans have a significantly negative effect on cartilage matrix which causes an acceleration of the deterioration of articular cartilage in osteoarthritic joints. The preponderance of evidence shows that NSAIDs have no beneficial effect on articular cartilage in OA and accelerate the very disease for which they are most often used and prescribed. Some of the effects of NSAIDs on the articular cartilage in OA include inhibition of chondrocyte proliferation, synthesis of cellular matrix components, glycosaminoglycan synthesis, collagen synthesis and proteoglycan synthesis. The net effect of all or some of the above is an acceleration of articular cartilage breakdown. In human studies, NSAIDs have been shown to accelerate the radiographic progression of OA of the knee and hip. For those using NSAIDs compared to the patients who do not use them, joint replacements occur earlier and more quickly and frequently. The author notes that massive NSAID use in osteoarthritic patients since their introduction over the past forty years is one of the main causes of the rapid rise in the need for hip and knee replacements, both now and in the future. The use of this nonsteroidal anti-inflammatory medication has been shown in scientific studies to accelerate the articular cartilage breakdown in osteoarthritis. Use of this product poses a significant risk in accelerating osteoarthritis joint breakdown. Anyone using this product for the pain of osteoarthritis should be under a doctor’s care and the use of this product should be with the very lowest dosage and for the shortest duration of time. If NSAID use continues, then most likely the exponential rise in degenerative arthritis and subsequent musculoskeletal surgeries, including knee and hip replacements as well as spine surgeries, will continue to rise as well. Nonsteroidal anti-inflammatory drugs (NSAIDs) are among the most commonly used drugs in the world for the treatment of osteoarthritis (OA) symptoms,1 and are taken by 20-30% of elderly people (defined as people over the age of 64 years) in developed countries.2 The worldwide pain management prescription drug market totaled approximately $24 billion in 2002 and passed $30 billion by 2006. Celebrex (celecoxib) led the pack with nearly $4 billion in sales in 2002.3 Each year, over 70 million prescriptions for NSAIDs are dispensed in the United States, 20 million in Great Britain and 10 million in Canada.4-6 These numbers do not include the 30 billion over-the-counter tablets sold each year in the United States alone.7, 8 The most common over-the-counter and prescription nonsteroidal anti-inflammatory drugs are seen in Figure 1. Figure 1. Common over-the-counter and prescription nonsteroidal anti-inflammatory drugs (NSAIDs). Treatment guidelines in the United States, Great Britain, and Canada recommend NSAIDs as second-line treatment (after acetaminophen) for mild OA and as first-line treatment for moderate to severe OA.9-11 As baby boomers age, it is estimated that the number of NSAID users will continue to climb, despite the fact that over 100,000 people are hospitalized for gastrointestinal bleeding and of those 16,500 people die from NSAID toxicity each year.12, 13 In 2006, the Osteoarthritis Research Society International formed an international committee to review all guidelines and evidence available on OA. Based on the evidence of potentially serious adverse reactions to NSAIDs, the committee has advised against the long-term use of NSAIDs to treat OA.14 One of the most serious adverse reactions to NSAIDs, that is little appreciated, is that as a class of compounds they cause the breakdown of articular cartilage, thereby accelerating OA, the very disease for which they are most commonly prescribed. Chondrocytes – the only cells in cartilage tissue responsible for the synthesis of collagen and proteoglycans that makeup the cartilage matrix. Cytokines are signaling molecules used extensively in cellular communications. Figure 2. The catabolic physiology leading to articular cartilage breakdown.Interleukin-1 is one of the principle cytokines that initiates a cascade that leads to chondrocyte cell death and extracellular matrix breakdown. NSAIDs inhibit prostaglandins, such as PGE2, from stimulating chondrocyte DNA matrix synthesis thereby contributing to articular cartilage degeneration. IL-1 is a potent inducer of prostaglandin (PG) synthesis by inducing PGE2 synthesis in human chondrocytes. 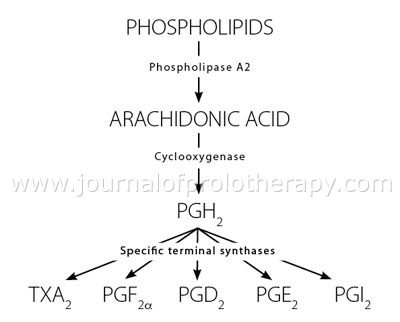 The rate-limiting step for the synthesis of PGE2 and other prostaglandins is the conversion of arachidonic acid to prostaglandin endoperoxide by cyclooxygenase (COX), which exists in two isoforms, COX-1 and COX-2. All NSAIDs inhibit both COX 1 and 2 enzymes but most of the NSAIDs that have been developed in recent years show greater activity of COX 2 in order to decrease gastrointestinal side effects. (See Figure 3.) PGs act (among other things) as messenger molecules in the process of inflammation. It was hoped that the use of NSAIDs would decrease the catabolic program in OA, thereby having a disease-modifying effect. Research, unfortunately is showing PGs, like PGE2, stimulate chondrocyte proliferation and subsequent synthesis of cellular matrix components.17 The net result of their blockade and other NSAID effects is the acceleration of articular cartilage degeneration. To show how this occurs and to what extent, a basic understanding of articular cartilage anatomy is needed. Figure 3. Inhibition of cyclooxygenase 1 and 2 by NSAIDs. Studies have shown that, although most NSAIDs inhibit both COX-1 and COX-2, it is the inhibition of COX-2 that is responsible for the anti-inflammatory effects of NSAIDS. On the other hand, inhibition of COX-1 by these agents causes damage to the GI tract. This has led to the development of a new generation of NSAIDs that specifically inhibit COX-2. Figure 4. The proteoglycan structure of articular cartilage. 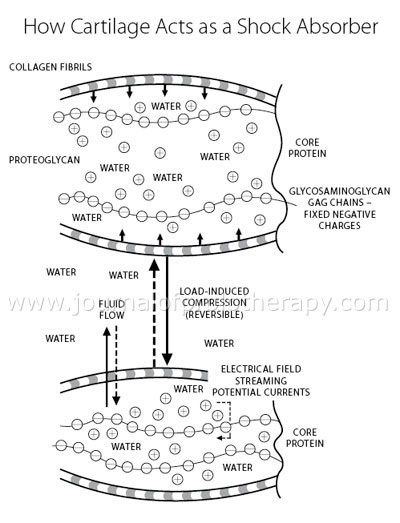 The high content of water in proteoglycans help the cartilage act as a shock absorber. The nature of the high density of negative charges imparts the physical properties to PRGs. Because of their attraction and binding of water, PRGs are viscous, making them ideal for lubricating fluid in joints. The charges repel each other, which gives them an open structure and is space-filling. These biochemical traits contribute to the mechanical properties of PRGs in articular cartilage, such as absorption and distribution of compressive weight, protecting structures in the joints from mechanical damage.21 The normal synthesis and breakdown of the PRGs and their component molecules, including glycosaminoglycans, is mediated by the indigenous chondrocytes. Glycosaminoglycans turn over several times as rapidly as the fibrillar collagen. If any part of this complex system is disrupted, the normal properties of articular cartilage are jeopardized, leading to joint degeneration. It is the extracellular matrix of articular cartilage that is the primary target of osteoarthritic cartilage degeneration and the accelerating effects of this breakdown by NSAIDs. Figure 5. The pathogenesis of osteoarthritis accelerated by NSAIDs. NSAID use inhibits the body’s repair processes, leading to decreased proteoglycan and extracellular matrix content and function, which ultimately leads to articular cartilage breakdown. These changes alter the intrinsic mechanical properties of articular cartilage and produce swelling.25 The articular cartilage, having lost some of its compressive ability under load, further degenerates. As the surface fibrillation progresses, the articular defects penetrate deeper into the cartilage until the cartilage is lost. The increased pressure on the subchondral bone causes it to thicken. Often bone cysts form deep to the eburnated areas. 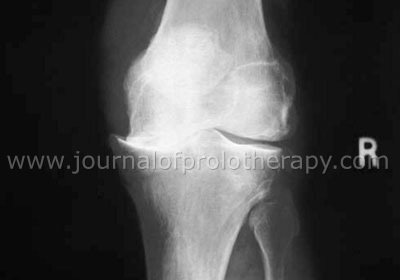 Eventually, bony nodules or osteophytes form at the periphery of the cartilage surface. All of these changes account not only for the pathology found on radiographs or histologically (findings under the microscope), but also for the joint pain, tenderness, loss of motion and stiffness of OA.26 It is the relief of some of these clinical manifestations that accounts for the widespread use of NSAIDs not only in the United States, but around the world. Hootman JM, et al. Projections of U.S. prevelance of arthritis and associated activity limitations. Arthritis Rheum. 2006;54(1):226-229. Hootman J, et al. Prevalence of doctor-diagnosed arthritis and arthtitis-attributed activity limitation–United States, 2003-2005. MMWR. 2006;55(40):1089-1092. Figure 7. 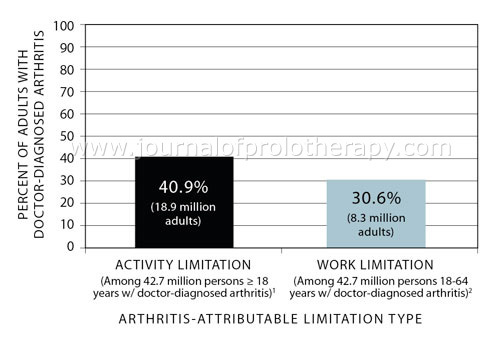 Percent of adults with doctor-diagnosed arthritis with ”arthritis attributable” activity and work limitations in 2002. Data Source: www.cdc.gov, 2002 National Health Interview Survey. Bolen J, et al. Racial/Ethnic differences in the prevelance and impact of doctor-diagnosed arthritis–United States, 2002. MMWR. 2005;54(5):119-123. Figure 8. Prescriptions for nonsteroidal antiinflammatory drugs dispensed by retail pharmacies from 1973-1983. Is it this widespread use of NSAIDs many years ago that has led to the current epidemic of disabling osteoarthritis? Figure 9. NSAID use according to age. In some populations, especially among the elderly, over 30% are regularly using NSAIDs. Source: Chiroli S, et al. Utilisation pattern of nonspecific nonsteroidal anti-inflammatory drugs and COX-2 inhibitors in a local health service unit in northeast Italy. 2003. Clin Drug Invest. 23(11):751-760. © 2003 Adis Data Information BV. P-value is the sense of statistical significance. P<0.01 means that there is a less than 1 in 100 (1%) chance that the results occurred by chance. The lower the p-value, the more significant the result. Figure 10. Net synthesis of 35S-glycosaminoglycans by normal canine knee cartilage cultured in the presence of ibuprofen. Ibuprofen inhibited glycosaminoglycan synthesis by cartilage cells at doses that are commonly achieved by those taking this medication. While the condition known as osteoarthritis has other names, including degenerative joint disease, the name is actually misleading; the words do not accurately describe the pathophysiology of the condition. The term osteoarthritis literally means inflammation of a bony joint but the most common clinical presentation of the condition is one of articular cartilage breakdown without joint swelling, heat, or any other markers of inflammation. The more appropriate term for osteoarthrosis or degenerative joint disease is understood as a non-inflammatory degenerative process. The notion of treating a non-inflammatory condition with an anti-inflammatory medication is bound to have long-term detrimental effects. in vivo – experimentation using whole, living organisms or live isolated cells. Once the cells are disrupted and the individual parts are treated or analyzed this is known as in vitro. Figure 11. 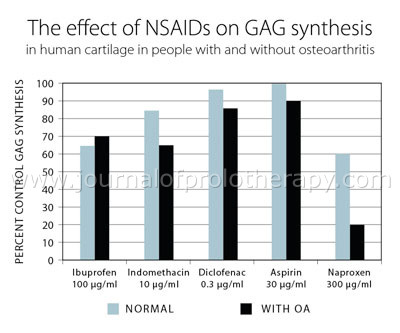 The effect of NSAIDs on GAG synthesis in humans (both non-arthritic and osteoarthritic) is shown. Concentrations of NSAIDs are similar to those obtained in serum/synovial fluid during treatment. Figure 12. 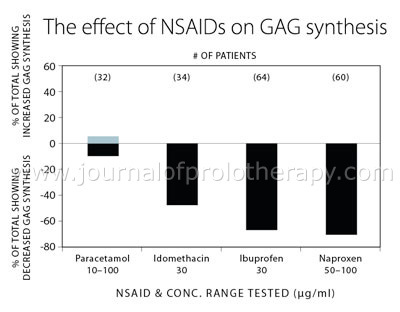 Some of the most commonly used NSAIDs, Indomethacin, Ibuprofen, & Naxopren, were found to decrease GAG synthesis, whereas Paracetamol (acetaminophen) did not. Figure 13. Biosynthesis of prostaglandins.The enzyme cyclooxygenase is the key enzyme in the formation of the five primary prostaglandins including PGE2. NSAIDs inhibit prostaglandin synthesis by inhibiting the enzyme cyclooxygenase. Figure 14. Correlation analysis of COX-2 expression and PGE2 levels by chondrocytes. 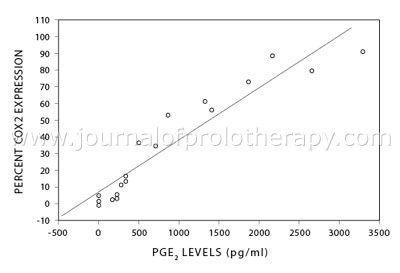 The isoform COX-2 enzyme levels correlate directly with PGE2 levels. Figure 15. PGE2 released into culture medium, as a function of log-NSAID dose (M). Results are expressed as % of control values.• — • ASA; o — o TA. NSAIDs at physiologic concentrations are potent inhibitors of PGE2 synthesis. Figure 16. Chondrocytes produce PGE2 in response to injury. NSAIDs, especially those that block COX-2 inhibit PGE2 synthesis in chondrocytes thereby stalling the body’s main inflammatory repair mechanism. Long-term, this will accelerate degenerative osteoarthritis of the joint. To see if these sort of damaging changes occurred with NSAID use on osteoarthritic knees the Longitudinal Investigation of Nonsteroidal Anti-inflammatory Drugs in Knee Osteoarthritis (LINK) study group was formed in England. They did a large study to compare the rate of radiographic progression in knee osteoarthritis comparing indomethacin (NSAID) with placebo. The study involved 20 rheumatology clinics in the United Kingdom. Patients received indomethacin 25mg three times daily or a placebo. The average person in each group was around 60 years of age and had osteoarthritis in the knee for over five years. The study involved 85 clients in the indomethacin group and 85 in the placebo group. Radiographic analysis was done yearly and the radiographic grade was judged by two observers using a six point scale. The average length of follow-up was three years. By the third year of the study, the results were so dramatic demonstrating the acceleration of the degeneration of the articular cartilage in the knee osteoarthritic patient treated with indomethacin that this part of the study had to be stopped. By the third year of the study, the results were so dramatic demonstrating the acceleration of the degeneration of the articular cartilage in the knee osteoarthritic patient treated with indomethacin that this part of the study had to be stopped. Figure 17. 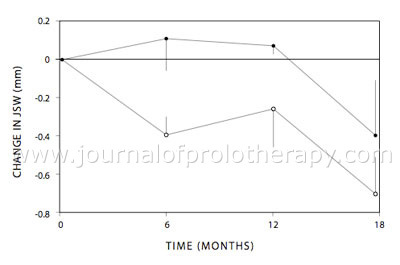 Graph of the mean (SD) change in joint space width at each 6-month visit in knees with late stage osteoarthritis (joint space width Source: Buckland-Wright JC, et al. Quantitative microfocal radiography detects changes in OA knee joint space width in patients in placebo-controlled trial of NSAID therapy. J Rheumatol. 1995;22:937-43. It is clear from the scientific literature that NSAIDs from in vitro and in vivo studies in both animals and humans have a significant negative effect on cartilage matrix which causes an acceleration of the deterioration of articular cartilage in osteoarthritic joints. The preponderance of evidence shows that NSAIDs have no beneficial effect on articular cartilage and accelerate the very disease for which they are most used and prescribed. While the rapid deterioration of joints after long-term NSAID treatment can be from a loss of proactive pain sensations, it is much more likely that it is a direct effect of NSAIDs on cartilage. (See Figure 18.) Some of these effects can be seen in Figure 19 and include inhibition of chondrocyte proliferation, synthesis of cellular matrix components, glycosaminoglycan synthesis, collagen synthesis, and proteoglycan synthesis. Clinically this is manifested as an accelerated progression of the knee or hip osteoarthritis as seen by standard radiographs. The long-term consequence of the deterioration of the joint is a need for joint replacement. This author notes that massive NSAID use in osteoarthritic patients since their introduction over the past forty years is one of the main causes of the rapid rise in the need for hip and knee replacements both now and in the near future. Figure 18. Effects of NSAIDs on articular cartilage. A typical X-ray showing cartilage deterioration. Studies have shown that taking NSAIDs not only accelerates this process, but makes it more likely the person will need a joint replacement. Figure 19. NSAIDs taken long term have a negative effect on joint physiology and ultimately lead to degenerative arthritis. The preponderance of scientific evidence shows that NSAIDs damage articular cartilage. Various scientific papers and consensus groups have stated that there is no convincing data to show that the widely used NSAIDs and recommended selective COX-2 inhibitors have favorable effects on cartilage.129-131 Even the main consensus paper from the International Cartilage Repair Society and Osteoarthritis Research Society International stated that NSAID use has to be limited to the short term. Specifically the recommendation was as follows: In patients with symptomatic hip or knee osteoarthritis, non-steroidal anti-inflammatory drugs (NSAIDs) should be used at the lowest effective dose but their long-term use should be avoided if possible.132 They also noted that NSAIDs should not be first-line therapy for joint OA. Other groups have raised similar sentiments. The committees of the International League Against Rheumatism and the World Health Organization came up with guidelines for the testing of new drugs in osteoarthritis. The consensus from these meetings resulted in recommendations by The European Group for the Respect of Ethics and Excellence in Science (GREES) for governmental registration and approval of new drugs used in the treatment of OA and have added the requirement that the drug not have a deleterious effect on the diseased and non-diseased contra lateral joint; i.e., no deleterious effect on osteoarthritic or normal cartilage.133 If this latter recommendation were followed, the vast majority, if not all NSAIDs, would be immediately taken off the market and no new ones would get approved. The use of this nonsteroidal anti-inflammatory medication has been shown in scientific studies to accelerate the articular cartilage breakdown in osteoarthritis. Use of this product poses a significant risk in accelerating osteoarthritis joint breakdown. Anyone using this product for the the pain of osteoarthritis should be under a doctor’s care and use of this product should be with the very lowest dose and for the shortest possible duration of time. One of the basic tenants of medicine is stated in the Hippocratic oath, “I will prescribe regimens for the good of my patients according to my ability and my judgment and never do harm to anyone.”135 For doctors to uphold this statement in the treatment of their OA patients, it would necessitate the almost complete banning of the use of NSAIDs for this condition. If this does not occur, then most likely the exponential rise in degenerative arthritis and subsequent musculoskeletal surgeries, including knee and hip replacements, as well as spine surgeries, will continue for decades to come. MacDonald TM. Epidemiology and pharmacoeconomic implications of non-steroidal anti-inflammatory drug-associated gastrointestinal toxicity. Rheumatology. 2000;2:13-30. Barat I, et al. The consumption of drugs by 75-year-old individuals living in their own homes. European Journal of Clinical Pharmacology. 2000;56:501-509. Seget S. Theta Reports. Pain Management: World Prescription Drug Markets. Report No. 1217, March 2003. PJB Medical Publications Inc. New York, NY. Gabriel SE, et al. The cost-effectiveness of misoprostol for nonsteroidal anti-inflammatory drug-associated adverse gastrointestinal events. Arthritis and Rheum. 1993;36:447-59. Nonsteroidal anti-inflammatory drugs and serious gastrointestinal adverse reactions-2. British Medical Journal (Clin Res Ed). 1986;292:1190-1. 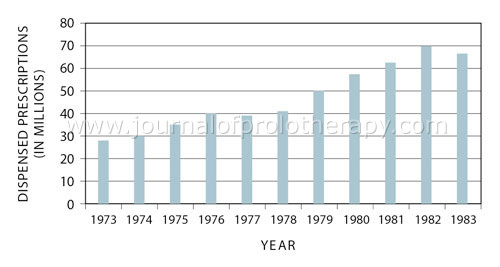 National Totals for Prescription of Antiarthritic Drug Therapies in Canada. Montreal: IMS Canada; 1997. Brooks P, et al. Nonsteroidal anti-inflammatory drugs – differences and similarities. The New England Journal of Medicine. 1991;324:1716-1725. 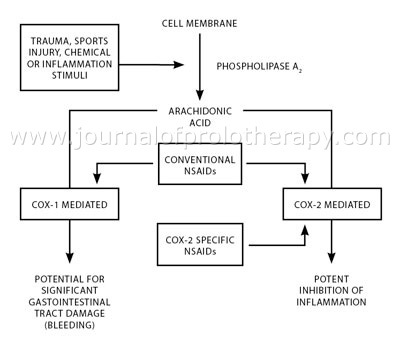 Green GA. Understanding NSAIDS: from aspirin to COX-2. Clin Cornerstone. 2001;3:50-59. Tannenbaum H, et al. An evidence-based approach to prescribing NSAIDs in the treatment of osteoarthritis and rheumatoid arthritis: the Second Canadian Consensus Conference. Canadian Journal of Clinical Pharmacology. 2000; 7(Suppl A):4A-16A. American College of Rheumatology Subcommittee on Osteoarthritis Guidelines. Recommendations for the medical management of osteoarthritis of the hip and knee: 2000 update. Arthritis Rheum. 2000;43:1905-1915. National Institute of Health and Clinical Excellence (NICE). Guidelines on the use of Cox II selective inhibitors. Technology Appraisal No. 27. London, NICE; 2001. Graham D. NSAID ulcers: prevalence and prevention. Modern Rheumatology. 2000;10:2-7. Brooks P, et al. Nonsteroidal anti-inflammatory drugs – differences and similarities. New England Journal of Medicine. 1991;324:1716-1725. Zhang W, et al. OARSI recommendations for the management of hip and knee osteoarthritis. Part II: OARSI evidence-based, expert consensus guidelines. Osteoarthritis and Cartilage. 2008;16:137-162. Garcia F. Catabolic events in osteoarthrtitis cartilage. Osteoarthritis and Cartilage. 1999;7:308-309. Blanco FJ, et al. Chondrocytes in OA die by apoptosis: a possible explanation for the etiopathogenesis of OA. Arthritis and Rheumatism. 1998;38:540-545. Geng Y, et al. Regulation of cyclooxygenase-2 expression in normal human articular chondrocytes. Journal of Immunology. 1995;155:796-801. Carey-Beth J, et al. A review of articular cartilage pathology and the use of glucosamine sulfate. Journal of Athletic Training. 2001;36:413-419. Ishiguro N, et al. Mechanism of cartilage destruction in osteoarthritis. Nagoya Journal of Medical Science. 2002;65:73-84. Poole AR, et al. Composition and structure of articular cartilage: a template for tissue repair. Clinical Orthopedics. 2001;391:S26-33. Vidal BC, et al. Articular cartilage: collagen II—proteoglycans interactions. Availability of reactive groups. Variation in birefringence and differences as compared to collagen I. Acta Histochem. 1988;83:189-205. Aigner T, et al. Mechanisms of disease: role of chondrocytes in the pathogenesis of osteoarthritis-structure, chaos and senescence. Nat Clin Pract Rhematol. 2007;3:391-399. Felson DT, et al. Osteoarthritis: new insights. Part 1: the disease and its risk factors. Annals of Internal Medicine. 2000;133:635-646. Reife RA, et al. Pathological cartilage degradation in human arthritides. In: Woessner J, et al. Joint Cartilage Degradation, Basic and Clinical Aspects. New York: Informa Health Care; 1995. Bollet AJ, et al. Biochemical findings in normal and osteoarthritic articular cartilage, II: chondroitin sulfate concentration and chain length, water, and ash content. Journal of Clinical Investigation. 1966;45:1170-1177. Kempson GE. Relationship between tensile properties of articular cartilage from the human knee and age. Annals of Rheumatic Diseases. 1982;41:508-511. Theis KA, et al. 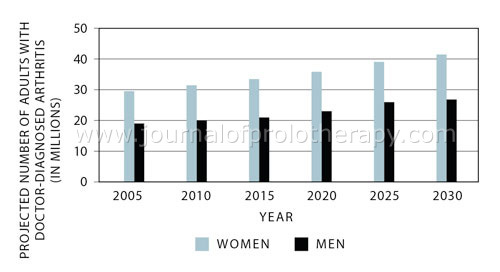 Arthritis burden and impact are greater among U.S. women than men: intervention opportunities. Journal of Women’s Health. 2007;16:441-453. Hootman JM, et al. Prevalence of doctor-diagnosed arthritis and arthritis-attributable activity-limitation-United States, 2003-2005. MMWR. 2006;55:1089-1092. Hootman JM, et al. 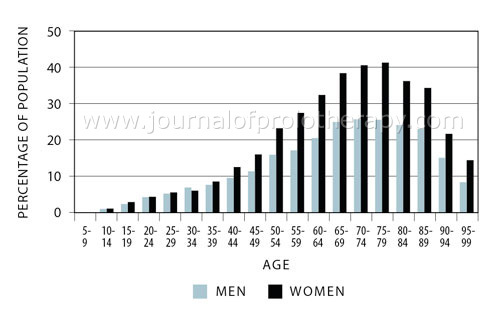 Projections of U.S. prevalence of arthritis and associated activity limitations. Arthritis and Rheumatism. 2006;54:226-229. Garbiel SE, et al. Direct medical costs unique to people with arthritis. Journal of Rheumatology. 1997; 24:719-725. Maetzel A, et al. The economic burden associated with osteoarthritis, rheumatoid arthritis, and hypertension: a comparison study. Annals of Rheumatic Diseases. 2004;63:395-401. Gupta S, et al. The economic burden of disabling hip and knee osteoarthritis from the perspective of individuals living with the condition. Rheumatology. 2005;44:1531-1537. Merrill C. Hospital Stays Involving Musculoskeletal Procedures, 1997-2005. Health Care Cost and Utilization Project. Available at: http://www.hcup-us.ahrq.gov/reports/statbriefs/sb34.jsp. Accessed on October 2, 2009. Baum C, et al. Utilization of nonsteroidal anti-inflammatory drugs. Arthritis and Rheumatism. 1985;28:686-692. Linsell L, et al. Prospective study of elderly people comparing treatments following first primary care consultation for a symptomatic hip or knee. Family Practice. 2005;22:118-125. Hochberg MC, et al. Preferences in the management of osteoarthritis of the hip and knee: results of a survey of community-based rheumatologists in the United States. Arthritis Care and Research. 1996;9:170-176. DeHann MN, et al. Knee osteoarthritis clinical practice guidelines-how are we doing? Journal of Rheumatology. 2007;34:2099-2105. Wilcox CM, et al. Patterns of use and public perception of over-the-counter pain relievers: focus on nonsteroidal anti-inflammatory drugs. Journal of Rheumatology. 2005;32:2218-2224. Singh G. Gastrointestinal complications of prescription and over-the-counter anti-inflammatory drugs: a view from the ARAMIS data bank. Arthritis, Rheumatism, and Aging Medical Information System. American Journal Ther. 2000;7:115-121. Kaufman DW, at al. Recent patterns of medication use in the ambulatory adult population in the United States. The Slone Survey. JAMA. 2002;287:337-44. Curhan GC, et al. Frequency of use of acetaminophen, nonsteroidal anti-inflammatory drugs, and aspirin in US women. Pharmacoepidemiol Drug Saf. 2002;11:687-693. Biossonnault WG, et al. Risk factors for anti-inflammatory-drugs- or aspirin-induced gastrointestinal complications in individuals receiving outpatient physical therapy services. J Orthop Sports Phys Ther. 2002;32:510-517. Hauser R, et al. An observational study of patients with unresolved neck pain who were treated with dextrose prolotherapy at an outpatient charity clinic in rural Illinois. Practical Pain Management. 2007;7(8):56-69. Hauser R, et al. A retrospective study on dextrose prolotherapy for unresolved knee pain at an outpatient charity clinic in rural Illinois. Journal of Prolotherapy. 2009;1:11-21. Hauser R. et al. A retrospective study on Hackett-Hemwall dextrose prolotherapy for chronic hip pain at an outpatient charity clinic in rural Illinois. Journal of Prolotherapy. 2009;2:76-88. Hauser, R, et al. Dextrose prolotherapy and pain of chronic TMJ dysfunction. Practical Pain Management. 2007;7(9):49-57. Chiroli S, et al. Utilization pattern of nonspecific nonsteroidal anti-inflammatory drugs and COX-2 inhibitors in a local health service unit in northeast Italy. Clin Drug Invest. 2003;23:751-760. Palmoski MJ, et al. Effect of salicylate on proteoglycan metabolism in normal canine articular cartilage in vitro. Arthritis and Rheumatism. 1979;22:746-754. Palmoski MJ, et al. Aspirin aggravates the degeneration of canine joint cartilage caused by immobilization. Arthritis and Rheumatism. 1982;25:1333-1342. Palmoski MJ, et al. Effect of salicylate and indomethacin on glycosaminoglycan and prostaglandin E2 synthesis in intact canine cartilage ex vivo. Arthritis Rheum. 1984;27:398-403. Slowman-Kovacs SD, et al. Effects of salicylates on chondrocytes from osteoarthritic and contralateral knees of dogs with unilateral anterior cruciate ligament transaction. Arthritis and Rheumatism. 1989;32:486-489. Palmoski MJ, et al. Marked suppression by salicylate of the augmented proteoglycan synthesis in osteoarthritis cartilage. Arthritis and Rheumatism. 1980;23:83-91. Palmoski MJ, et al. Effects of some nonsteroidal anti-inflammatory drugs on proteoglycan metabolism and organization in canine articular cartilage. Arthritis and Rheumatism. 1980;23:1010-1020. Brandt KD, et al. Nonsteroidal anti-inflammatory drugs in the treatment of osteoarthritis. Clinical Orthopedics. 1986;213:84-91. Palmoski MJ, et al. Relationship between matrix proteoglycan content and the effects of salicylate and indomethacin on articular cartilage. Arthritis and Rheumatism. 1983;26:528-531. Mckenzie LS, et al. Osteoarthrosis: uncertain rationale for anti-inflammatory drug therapy. Lancet.1:908-912. Dekel S, et al. The effect of anti-inflammatory drugs on glycosaminoglycan sulphation in pig cartilage. Prostaglandins Med. 1980;4:133-140. Mitrovic D, et al. Anti-inflammatory drugs, prostanoid and proteoglycan production by cultured bovine articular chondrocytes. Prostaglandins. 1984;28:417-434. Serni U, et al. Is there preliminary in-vivo evidence for an influence of nonsteroidal anti-inflammatory drugs on progression in osteoarthritis? Part II-evidence from animal models. Osteoarthritis and Cartilage. 1999;7:351-352. Kalbhen DA. The inhibitory effects of steroidal and non-steroidal antirheumatic drugs on articular cartilage in osteoarthrosis and its counteraction by a biological GAG-peptide complex. Z Rheumatol. 1982;41:202-211. Chang JK, et al. Effects of non-steroidal anti-inflammatory drugs on cell proliferation and death in cultured epiphyseal-articular chondrocytes of fetal rats. Toxicology. 2006;228:111-123. Matsuda K, et al. Celecoxib inhibits nitric oxide production in chondrocytes of ligament-damaged osteoarthritic rat joints. Rheumatology International. 2006;26:991-995. Schwartz Z, et al. The effect of prostaglandin E2 on costochondral chondrocyte differentiation is mediated by cyclic adenosine 3’, 5’-monophosphate and protein kinase C. Endocrinology. 1998;139:1825-1834. O’Keefe RJ, et al. Influence of prostaglandins on DNA and matrix synthesis in growth plate chondrocytes. J Bone Miner Res. 1992;7:397-404. Miyamoto M, et al. Simultaneous stimulation of EP2 and EP4 is essential to the effect of prostaglandin E2 in chondrocyte differentiation. Osteoarthritis and Cartilage. 2003;11:644-652. Clark CA, et al. Differential regulation of EP receptor during chondrogenesis and chondrocyte maturation. Biochem Biophys Res Commun. 2005;328:764-776. Brochhausen C, et al. Cyclooxygenases and prostaglandin E2 in growth plate chondrocytes in vitro and in situ – Prostaglandin E2 dependent proliferation of growth plate chondrocytes. Arthritis Res Ther. 2006;8:1-21. Brandt K. The mechanism of action of nonsteroidal anti-inflammatory drugs. Journal of Rheumatology. 1991;13:120-121. Maroudas A, et al. Cartilage of the hip joint. Topographical variation of glycosaminoglycan content in normal and fibrillated tissue. Annals of Rheumatologic Diseases. 1973;32:1-8. Mankin HJ, et al. Biochemical and metabolic abnormalities in articular cartilage from osteoarthritic human hips. Journal of Bone and Joint Surgery. 1970;52A:424-431. McKenzie LS, et al. Effect of anti-inflammatory drugs on sulphated glycosaminoglycan synthesis in aged human articular cartilage. Annals of Rheumatologic Diseases. 1976;35:487-497. Dingle JT. Prostaglandins in human cartilage metabolism. Journal of Lipid Mediators. 1993;6:303-312. Dingle JT. The effect of nonsteroidal anti-inflammatory drugs on human articular cartilage glycosaminoglycan synthesis. Osteoarthritis and Cartilage. 1999;7:313-314. Dingle JT. The effects of NSAIDs in human articular cartilage GAG synthesis. European Journal of Rheumatology. 1996;16:47-52. Manicourt DH, et al. Effect of tenoxicam and aspirin on the metabolism of proteoglycans and hyaluronan in normal and osteoarthritic human articular cartilage. British Journal of Pharmacology. 1994;113:1113-1120. Rainsford KD, et al. Effect of meloxicam, compared with other NSAIDs on cartilage proteoglycan metabolism, synovial prostaglandin E2, and production of interleukins 1, 6 and 8, in human and porcine explants in organ cultures. Pharm Pharmacol. 1997;49:991-998. Atkins D, et al. 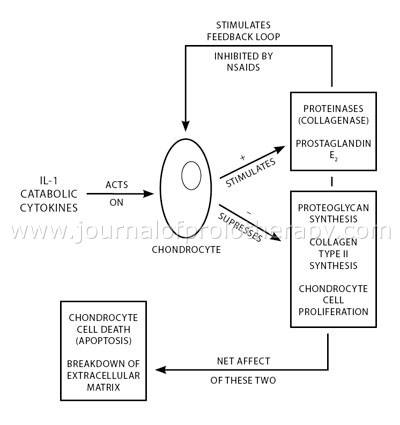 Role of prostaglandins in bone metabolism: a review. Journal of the Royal Society of Medicine. 1979;72:27-34. Wallace JL, Tigley AW. Review article: new insights into prostaglandins and mucosal defense. Aliment Pharmacol Ther. 1995;9:227-235. Notoya K, et al. The induction of cell death in human osteoarthritis chondrocytes by nitric oxide is related to the production of prostaglandin E2 via the induction of cyclooxygenase-2. Journal of Immunology. 2000;165:3402-3410. Jeffrey JE, et al. Cyclooxygenase inhibition lowers prostaglandin E2 release from articular cartilage and reduces apoptosis but not proteoglycan degradation following an impact load in vitro. Arthritis Research & Therapy. 2007;9:R129-R130. DiBattista JA, et al. Prostaglandin E2 stimulates insulin-like growth factor binding protein-4 expression and synthesis in cultured human articular chondrocytes: possible mediation by Ca++calmodulin regulated processes. Journal of Cell Biochemistry. 1997;65:408-419. Lowe GN, et al. Effects on deoxyribonucleic acid and aggrecan synthesis in the RCJ 3.1C5.18 chondrocyte cell line: role of secondary messengers. Endocrinology. 1996;137:2208-2216. DiBattista JA, et al. Prostaglandin E2 stimulates incorporation of proline into collagenase digestible proteins in human articular chondrocytes: identification of an effector autocrine loop involving insulin-like growth factor I. Mol Cell Endocrinol. 1996;123:27-35. DiBattista JA, et al. Prostaglandin E2 up-regulates insulin-like growth factor binding-3-expression and synthesis in human articular chondrocytes by a cAMP-independent pathway: Role of calcium and protein kinase A and C. Journal of Cell Biochemistry. 1996;62:1-14. Vane JR, et al. Inducible isoforms of cycooxygenase and nitric-oxide synthase in inflammation. Proceedings of the National Academy of Science USA. 1994;91:2046-2050. Ristimaki A, et al. Induction of cyclooxygenase-2 by interleukin-1. Journal of Biol Chem. 1994;269:11769-11775. Blanco F, et al. Effect of anti-inflammatory drugs on COX-1 and COX-2 activity in human articular chondrocytes. The Journal of Rheumatology. 1999;26:1366-1373. Baasleer CT, et al. Effects of tiaprofenic acid and acetylsalicylic acid on human articular chondrocytes in 3-dimensional culture. Journal of Rheumatology. 1992;19:1433-1438. Mastbergen SC, et al. Differential direct effects of cyclooxygenase–1/2 inhibition on proteoglycan turnover of human osteoarthritic cartilage: an in vitro study. Arthritis Research & Therapy. 2006;8:R2-13. Goldring MB, et al. The regulation of chondrocyte function by proinflammatory mediators: prostaglandins and nitric oxide. Clin Orthop Relat Res. 2004;427:Suppl:S37-46. Dubois RN, et al. Cyclooxygenase in biology and disease. FASEB J. 1998;12:1063-1073. Martel-Pelletier J, et al. Cyclooxygenase-2 and prostaglandin in articular tissues. Seminars in Arthritis and Rheumatism. 2003;33:155-167. Amin AR, et al. Superinduction of cyclooxygenase-2 in activity in human osteoarthritis-affected cartilage: Influence of nitric oxide. Journal of Clinical Invest. 1997;99:1231-1237. Pelletier JP, et al. Diacerhein and rhein reduce the interleukin 1 beta stimulated inducible nitric oxide synthesis level and activity while stimulating cyclooxygenase-2 synthesis in human osteoarthritic chondrocytes. Journal of Rheumatology. 1998;25:2417-2424. Aoyama T, et al. PGE2 signal through EP2 promotes the growth of articular chondrocytes. J Bone Miner Res. 2005;20:377-389. Alvarez-Soria MA, et al. Long-term NSAID treatment directly decreases COX-2 and mPGES-1 production in the articular cartilage of patients with osteoarthritis. Osteoarthritis and Cartilage. 2008; Dec;16(12):1484-93. Coke H. Long term indomethacin therapy of coxarthrosis. Ann Rheum Dis. 1967;26:346-350. Milner JC. Osteoarthritis of the hip and indomethacin. J Bone Joint Surg (Br). 1972;54B:752-756. Ronningen H, et al. Indomethacin hips. Acta Orthop Scan. 1977;48:556-561. Serup J, et al. Salicylate arthropathy: accelerated coxarthrosis during long-term treatment with acetyl salicylic acid. Praxis. 1981;70:359-362. McKenzie LS, et al. Osteoarthrosis: uncertain rationale for anti-inflammatory drug therapy. Lancet. 1976;i:908-909. Newman NM, et al. Acetabular bone destruction related to non-steroidal anti-inflammatory drugs. The Lancet. 1985; July 6:11-13. Ronningen H, et al. Indomethacin treatment in osteoarthritis of the hip joint. Acta Orthop Scand. 1979;50:169-174. Solomon L. Drug-induced arthropathy and necrosis of the femoral head. J Bone and Joint Surgery. 1973;55B: 246-261. Huskisson HC, et al. Effects of anti-inflammatory drugs on the progression of osteoarthritis of the knee. Journal of Rheumatology. 1995;22:1941-1946. Ledingham J, et al. Radiographic progression of hospital referred osteoarthritis of the hip. Annals of Rheumatic Diseases. 1993;52:263-267. Ronningen H, et al. Indometacin treatment in osteoarthritis of the hip joint. Acta Orthop Scand. 1979;50:169-174. Newman NM, et al. Acetabular bone destruction related to non-steroidal anti-inflammatory drugs. Lancet. 1958;2:11-14. Coke H. Long term indometacin therapy of coxarthrosis. Annals of Rheumatic Diseases. 1967;26:346-347. Arora JS, et al. Indocid arthropathy of hips. Proc R Soc Med. 1968;61:669-672. Rashad S, et al. 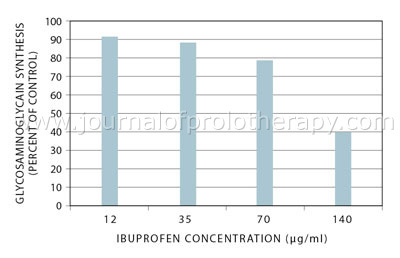 Effect of non-steroidal anti-inflammatory drugs on the course of osteoarthritis. Lancet. 1989;2:519-522. Dougados M, et al. Radiological progression of hip osteoarthritis: definition, risk factors and correlations with clinical status. Annals of Rheumatic Diseases. 1996;55:356-362. Reijman M, et al. Is there an association between the use of different types of nonsteroidal anti-inflammatory drugs and radiologic progression of osteoarthritis? The Rotterdam Study. Arthritis Rheum. 2005;52:3137-3142. Buckland-Wright JC, et al. Quantitative microfocal radiography detects changes in OA knee joint space width in patients in placebo-controlled trial of NSAID therapy. Journal of Rheumatology. 1995;22:937-943. Lane NE, et al. All About Osteoarthritis. Oxford University Press, Oxford England; 2002: 19. Andriacchi TP, et al. Methods for evaluating the progression of osteoarthritis. Journal of Rehabilitation Research & Development. 2000;37:163-170. Schnitzer T, et al. 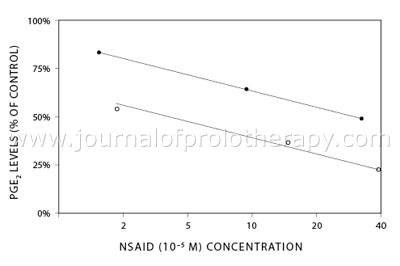 Effect of NSAIDs on knee loading in patients with osteoarthritis. Arthritis Rheum. 1990;33:S92-S97. Schnitzer T, et al. Effect of piroxicam on gait in patients with osteoarthritis of the knee. Arthritis Rheum. 1993;36:1207-1213. Blin O, et al. Quantitative analysis of walking in patients with knee osteoarthritis: a method of assessing the effectiveness of non-steroidal anti-inflammatory treatment. Ann Rheum Dis. 1990;49:990-993. Sharma L, et al. Knee adduction moment, serum hyaluronic acid level, and disease severity in medial tibiofemoral osteoarthritis. Arthritis Rheum. 1998;41:1233-1240. Gossec L, et al. Predictive factors of total hip replacement due to primary osteoarthritis: a prospective 2 year study of 505 patients. Annals of Rheumatic Diseases. 2005;64:1028-1032. Shield MJ. Anti-inflammatory drugs and their effects on cartilage synthesis and renal function. European Journal of Rheumatology and Inflammation. 1993;13:7-16. Ding C. Do NSAIDs affect the progression of osteoarthritis? Inflammation. 2002;26:139-142. Courtney P, et al. Key questions concerning paracetamol and NSAIDs for osteoarthritis. Anna Rheum Dis. 2002;61:767-773. Zhang W, et al. OARSI recommendations for the management of hip and knee osteoarthritis, Part II: OARSI evidence-based, expert consensus guidelines. Osteoarthritis and Cartilage. 2008;16:137-162. Group for the Respect of Ethics and Excellence in Science (GREES). Recommendations for the registration of drugs used in the treatment of osteoarthritis. Annals of the Rheumatic Diseases. 1996;55:552-557. Hendrick B. FDA Issues New Warnings for Painkillers. WEB MD, Available at: http://www.webmd.com/pain-management/news/20090428/fda-issues-new-warnings-painkillers. Accessed May 13, 2009. Helidonis E, et al. The contribution of Hippocratic oak in third millennium medical practice. American Journal of Otolaryngology. 2001;22:303-305.
cox-2 inhibition, non-steroidal anti-inflammatory medication, NSAIDs, osteoarthritis, Prolotherapy research cartilage repair, Ross A. Hauser, MD, Volume 2 : Issue 1 : February 2010, Wonder Why?